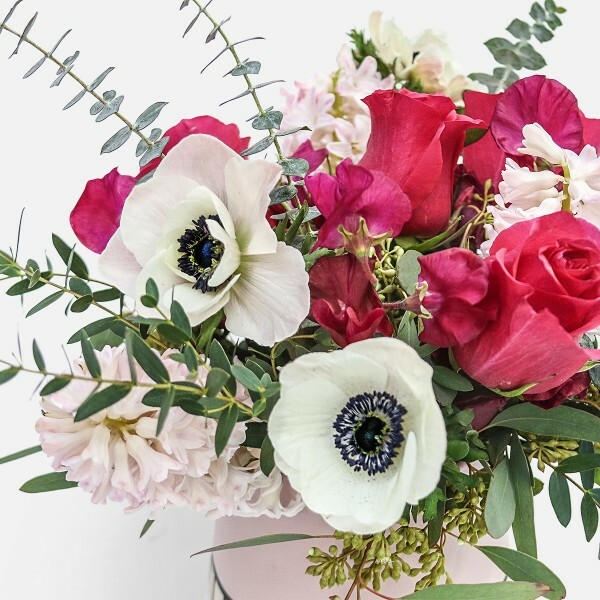 This delightfully fragrant arrangement of roses, anemones, sweet peas, and hyacinths will surely make someone feel special! NOTE: This discounted product is avaiable for delivery up to Wednesday, Feb 13th. 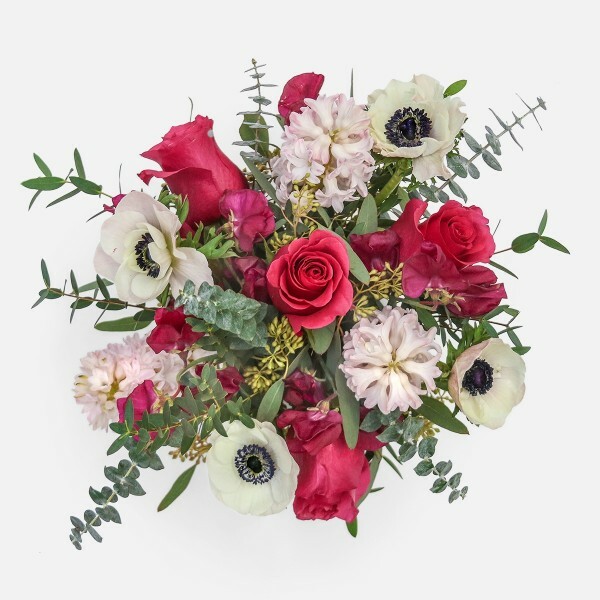 The First Crush floral arrangement features red roses, alongside delicate, dark-pink sweet peas and blush-white anemones. 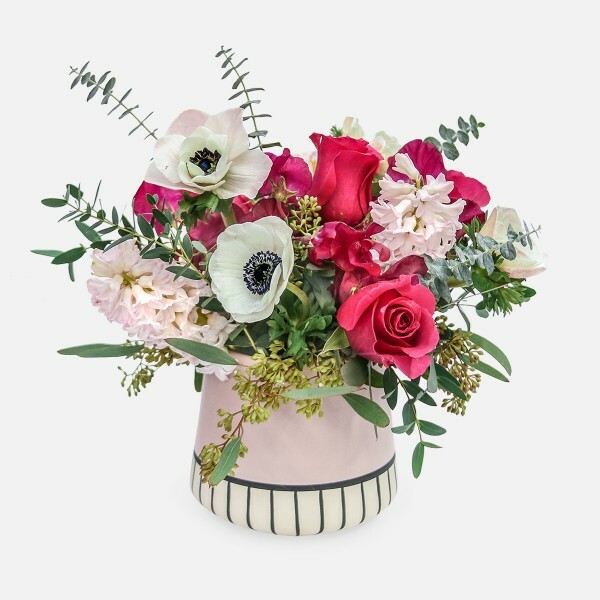 Pale-green eucalyptus and soft-blush hyacinths provide a pleasant fragrance and additional texture. 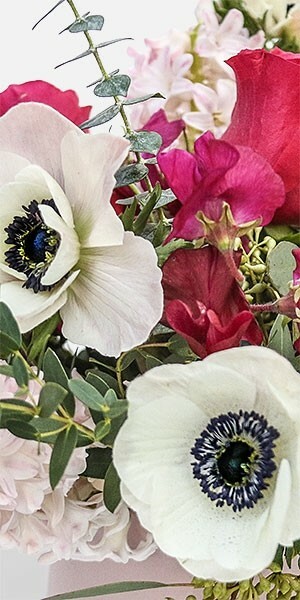 PlantShed hand-delivers artisan flower arrangements to any borough of NYC, 7 days a week. Free Manhattan delivery is available for orders over $100 (per location).